TRAI (Telecom Regulatory Authority of India) - as it has made checklist across telecom industries. So far TRAI will have heard with your Jio but now it has reached your Dish TV. It has heard the decision to apply the new channel pack price 2019 to all broadcasters and operators by 29-Dec-2018. And TRAI has released a new channel price list too. Watch the channel, pay only for its money. Years ago, this was said to the audience to inspire the Direct to Home (DTH) service, but after choosing the packs such as Entertainment, Kids, Knowledge, Sports, it proved to be expensive for consumers. However, the Telecom Regulatory Authority of India (TRAI) has ordered all multi-service operators (MSOs) and local cable operators (LCOs) to implement a new tariff system from December 29. In this case, the decision of the TRAI for Cable TV users will be beneficial or harmful, what is the New Cable TV Price list 2019? How much money will one channel take? Will everything now be absolutely free? There are many more questions about which we will get information here and what will be found in new TRAI rules for DTH. 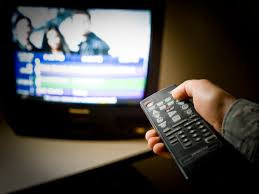 TRAI has said that in the new system, the TV channel can not be imposed on consumers, but they will have the freedom to choose only those TV channels which they want to see and pay accordingly. All channels will be available as separate and bouquet, which consumers can choose according to their choice. Through the Electronic Program Guide (EPG), every channel will have an MRP written on the TV screen. No distributor can take more than the fixed price from the broadcaster. TRAI has told all service providers that the customers will have to show free to air (FTA) channels completely free. There can be no charge for consumers. However, it is not mandatory to give all FTA channels, depending on the consumer, which channel they choose. It is mandatory to show all the channels of Doordarshan. How much does it cost each month? As network competency fees, customers will have to pay a maximum of 130 Rupees per month for 100 channels. If you look at more than 100 channels (though the number of such subscribers is only 10-15%), the next 25 channels will have to pay 20 Rupees extra. Apart from this, the fixed prices will be added to the pay channels you choose. The price range of channels from TRAI is fixed between 1 and 19 Rupees. To understand the DTH Channels 2019 price and plan, first of all we need to know what their Life Cycle is? And any channel accesses users from the Channel. Operators first buy their channel from Broadcaster and then they reach our homes through DTH. 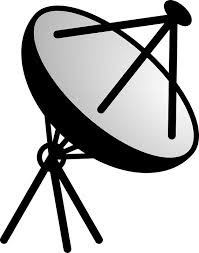 There are broadcasts of channels and money is given by the users, but in the meanwhile, they constitute both the cable TV or the DTH. DTH operator takes the decision of which channel will be shown on the TV, but no longer. TRAI has snatched the right to take decision from operators after December 29, 2018 and given it to power users. For this, they have issued FAQs of 30 pages. You can check from here if you like. Only FTA channels will get 130 rupees? Network Capacity Fee of Rs 130 will include FTA channels or pay channels or both. At 130 rupees, you can choose favourite FTA channels, but for pay channels, you have to spend extra. By the way, it depends on how many more channels you choose for yourself, but if you are the viewer of a few select channels then your expenditure is definitely going to be reduced. TRAI has said that according to the pattern of viewers given by BARC, 80 percent of the consumers either watch 40 or fewer channels or wipe them out. If a consumer carefully chooses a channel for the entire requirement of his family, he must pay less than the current price every month. Any TV channel broadcaster and DTH operator will have to run according to the new rules from 29-December-2018. From now on, any DTH or Cable TV will have a monthly charge of at least Rs.130 / + 18 GST. On recharge of Rs 130, a 100 channels will be available which will have 26 national channels and the remaining 74 channels can be added to users for paid and free channels. This new DTH TV channel cost list is the name of some of the most popular and your favourite channels in 2019. There will be many more with it that you will get information from operators. Below are the few Toll free numbers of DTH providers. In this way, viewers had to pay many extra and extra money operators in the name of Channel Pack. This work was done by all operators and broadcasters, so the viewer did not have to any option and he had to buy a full pack for 1 channel in compulsion. But knowing this is the new DTH Traffic Plan of TRAI, the biggest advantage is that the viewer has to give only the price of the channel which he wants to see. Just like if you want to see the Sony sub of the Sony Network, you only have to pay Sony's monthly price. But knowing this is the new DTH Traffic Plan of TRAI, the biggest advantage is that the viewer has to pay only price of the channel which he wants to see. Just like if you want to see the Sony Network, you only have to pay Sony's monthly price. How to choose the channel? All the cable and DTH service providers were asked to make available channels to the consumers through the website and provide online payment facility. The list of channels on the website will be available with the price. In addition, through the call centre, consumers will also be able to choose the channel. Operators will not offer package? In response to this question, TRAI advocate Mr. Arvind Kumar has said that the basic idea of ​​the new system is to give customers 'right to choose'. If LCOs and consumers are involved in any pack then there is no problem. Price for all operators will be the same? Yes, the MRP declared by all broadcasters will be identical on each distribution platform. That is, if the consumers of two different service providers are watching the same channel then their payment will be the same. How will you choose TV channels as per the new TRAI rule? How does this affect different providers?